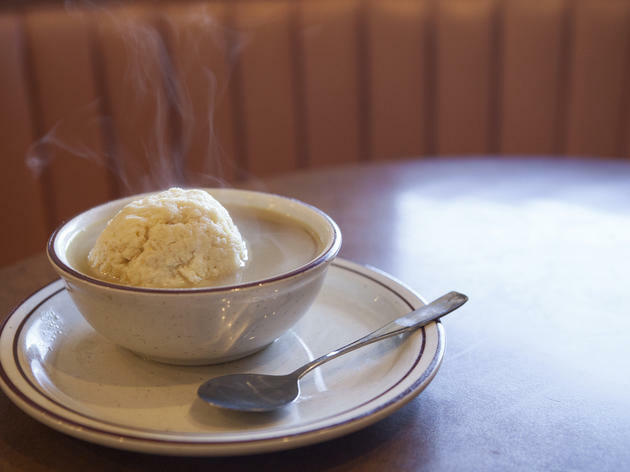 Canter's Deli's classic matzo ball soup is one of L.A.'s best dishes among discerning bubbies. But how does it compare to Umamicatessen's modern remake? 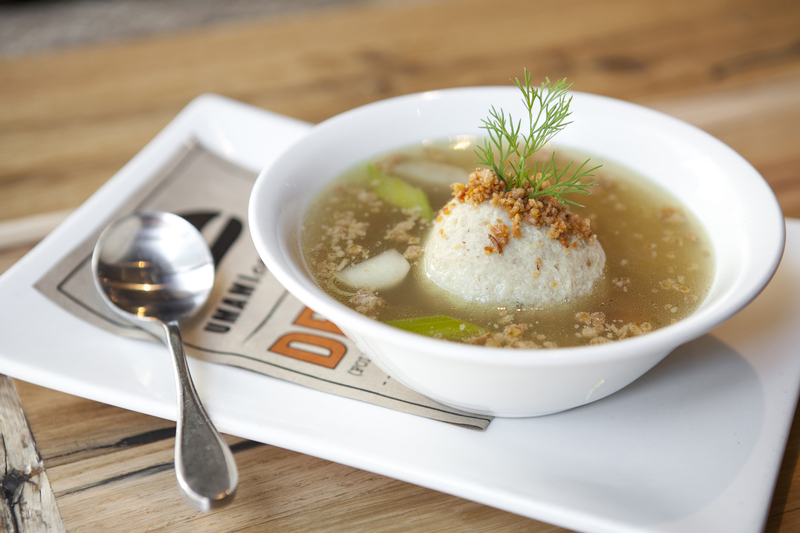 If you grew up filling your soul with matzo ball soup, then mom’s is probably the best. Period. But for those—goyims included—looking for a restaurant version of the comfort food, Canter’s and Umamicatessen give any Jewish grandmother a run for her money. A Fairfax fixture for decades, Canter’s is the go-to for Jewish deli faves. 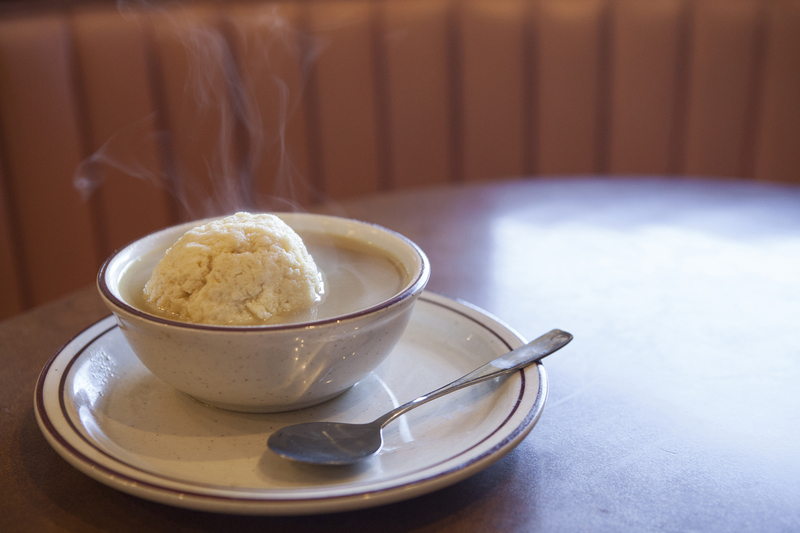 The piping hot (and we mean hot) bowl of matzo ball soup at Canter's might not look like much, but the savory broth packs a (knockout) punch of flavor. 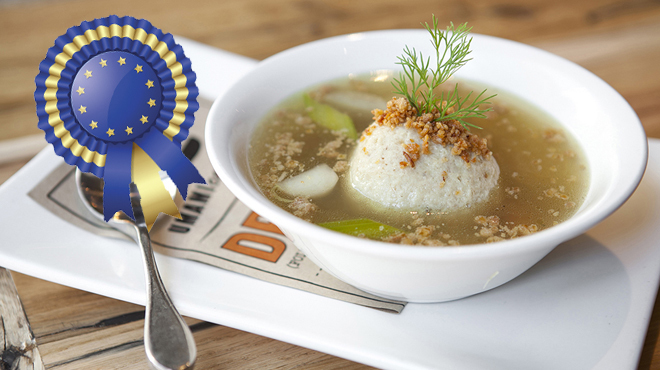 While hefty, the matzo ball still manages to be light and airy. The newest addition to the Umami dynasty is a re-imagined dining hall with five different kitchens. 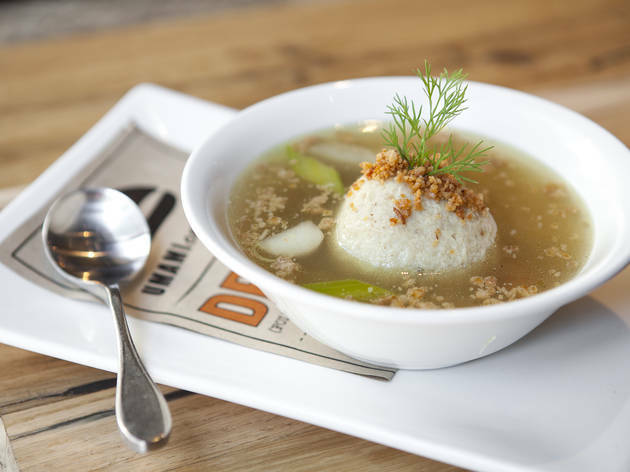 The Cure, Umamicatessen’s kosher-style deli, serves up a modern bowl of matzo ball soup with chicken, veggies and a sprinkling of chicken cracklings. While not exactly Grandma's, the soup is ridiculously good, down to the last slurp. This wasn’t an easy choice, but the big win was Umamicatessen's reinvented classic. 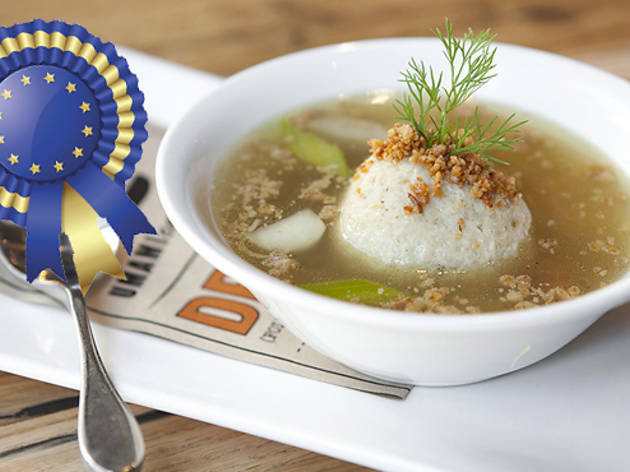 Going beyond the basic broth and matzo ball and without veering too much off course, tender pieces of braised chicken, slices of celery and turnips, and the crunchy addition of chicken cracklings elevated and made this addictive soup.